Click or CALL 336-753-0014 For Special Pricing! ******* Rear Bunkhouse * Leveling System * Loaded ! Have you been searching for the perfect fifth wheel to travel with guests or your larger family? 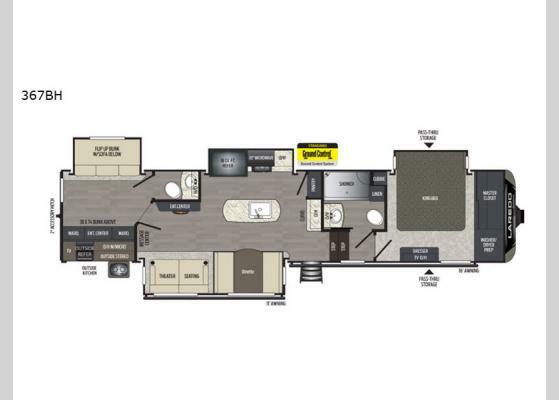 The rear bunkhouse in this Laredo fifth wheel not only contains its very own half bath, but it also provides you with enough sleeping space for four people making it a private area for your guests to feel right at home. You will feel pampered no matter where you spend your time, indoors or outdoors. 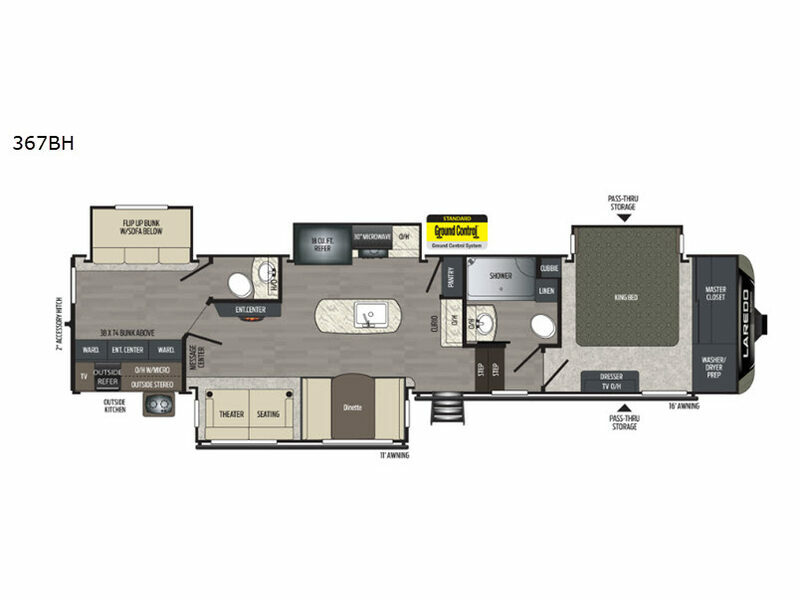 Surely you will enjoy relaxing underneath the 11' and 16' awnings, and you will appreciate the convenience of the outdoor kitchen and entertainment center. And once inside, you won't be able to resist the comfort that the king-size bed delivers each night as you sleep in the private bedroom.